L21 Series Beacons are now Ecnapsulated and certified SAE Class 1. Utilizing new Broadband Energy Radiator™ Technology (patent pending). 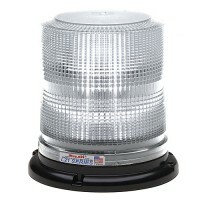 These solid state beacons resemble traditional strobe beacons but with greater light output and lower amp draw. 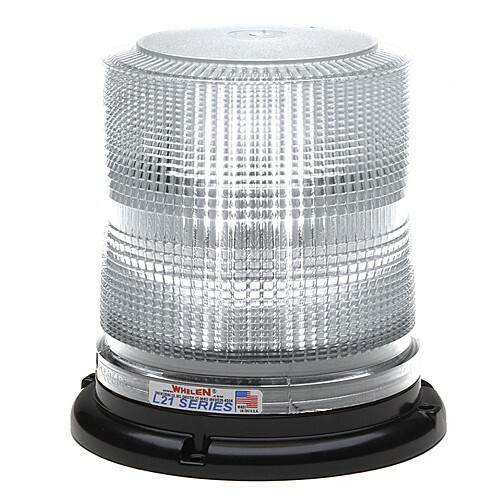 Best of all, the Super-LED light source has a rated life that exceeds that of comparable flash tubes by more than 50:1. Combination mounting: permanent, pipe (1"NPT) and J-hook supplied with 6" pigtail. 25 built-in Scan-Lock™ flash patterns plus steady-burn.